The teams behind the upcoming beat em’ up follow-up, Streets of Rage 4, have been quiet. In fact, a bit too quiet for my tastes, especially since they’re working on a title that’s very sacred to me. Thankfully, they’ve decided to make some noise today and finally released some gameplay footage. The footage isn’t very long, but it does show the current status of the game. We’re still only seeing Axel and Blaze, as they pummel the bad guys into the pavement. I was hoping to see more characters, but I suppose they’re saving that for later. What did we see was more than enough to get me excited all over again. Especially the tag team combos that had some poor enemy being juggled in the air. There’s also a split second of seeing that new character, the one with the snake, being smacked by Axel’s powering up stance. Followed by a nasty uppercut. Check out that footage below. I have to say that the game is shaping up quite nicely. I wasn’t too convinced on the art direction the game too, not initially. However, after seeing the game in action, it works really well. Like a combination of Comix Zone (remember that?) and Cuphead. Needless to say, I can’t wait until I can get some hands-on with the game. Streets of Rage/Bare Knuckle was a series I grew up on and played on a daily basis. Speaking of hands-on. For those heading out to PAX East 2019, a playable build of Streets of Rage 4 will be available for everyone to check out. So if you’re interested in getting some early hands-on, I highly recommend you find their booth and check it out. There’s currently no release date for Streets of Rage 4. Perhaps we’ll hear something during PAX East 2019. 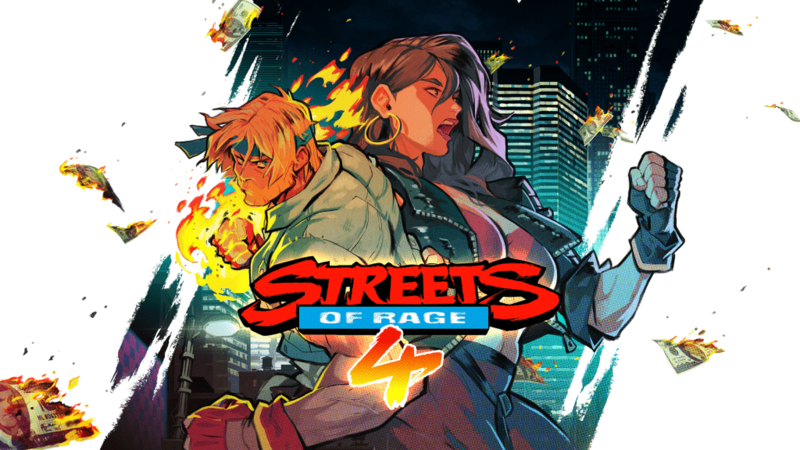 To keep up to date on all things Streets of Rage 4, check out https://www.streets4rage.com, or follow @Dotemu, @Lizardcube, and @Guard_Crush on Twitter.